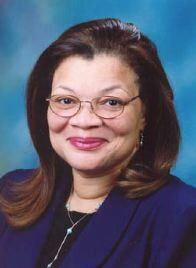 Project 21 member Alveda C. King is the daughter of the late civil rights activist Reverend A.D. King and the niece of Dr. Martin Luther King, Jr. She is a pastoral associate and director of Civil Rights for the Unborn – the black outreach arm of Priests for Life and Gospel of Life Ministries. She is also the founder of Alveda King Ministries. During the Civil Rights Era, Alveda was jailed for her open housing movement activism. Her family home in Birmingham, Alabama was bombed, as was her father’s church office in Louisville, Kentucky. She now sees the pro-life movement as a continuation of the civil rights struggle. Alveda formerly served in the Georgia State House of Representatives. She is a 2011 recipient of the Life Prize Award, the 2011 Cardinal John O’Connor Pro-Life Hall of Fame Award and the 2011 Congress of Racial Equality (CORE) Civil Rights Award. She received an honorary Doctorate of Laws degree from Saint Anselm College. She served on several boards including Heartbeat International, Georgia Right to Life, the MLK Center, Bible Curriculum in Public Schools and Abortion Recovery International. She is a member of the National Black Pro-life Coalition and a senior fellow with the Howard Center for Family, Religion & Society. Alveda is a regular columnist for Newsmax.com “Insiders” section and a Fox News contributor.